The end of the semester is here! Where is your stress level at? Stress can be categorized as a particular emotion that we as human being experience frequently. Meant to provide us with the ability to recognize problems, stress can be beneficial when it is used as a mechanism as protection from danger. However, in most cases, stress acts as a nuisance to our daily lives. Some people may experience more stress than others, yet the stress does not affect them as intensely. This could be due to a multitude of factors, the major one being a person's ability to manage the stress in his or her life. 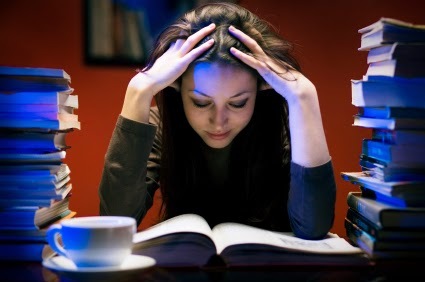 Since stress is not an emotion that is easily avoidable, it is important to know how to manage it so that it does not have a lasting effect on your overall well-being. 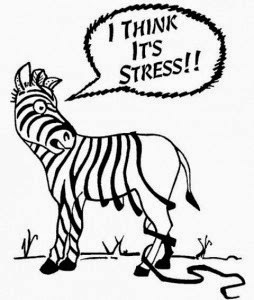 Even though stress is meant to act as a protection against danger, its involvement on the human body can be detrimental. From aches and pains to feelings of depression and anger, stress can have a negative impact on everyday life. John Medina, Ph.D. and director of the Brain Center for Applied Learning Research at Seattle Pacific University explains that “productivity, motivation and sometimes even your immune system will all suffer under stress” and other research has shown that a stressed brain does not function in the same way a non-stressed brain does. From this information, it can be concluded that stress is an issue that needs consistent attending to. Without managing it, stress can have a chronic effect on the life of individual. The first step in stress management is learning how stress affects you. For instance, the American Heart Association has created a “Low Zone” to “High Zone” continuum that uses numbers to gage the amount of stress a particular individual is experiencing at any one moment. The “Low Zone” is identified as being both cheerful and engaged in the moment and the “High Zone” involving an “about to lose it” sense of being. By using this continuum to chart your reaction to the different levels of stress, you will start to see a particular pattern that emerges as you rise to the “High Zone”. Once you are aware of this pattern it is easier to identify when it is appropriate to begin managing your stress. The next step after identifying when stress needs to be managed is to implement actions and tactics that help alleviate stress. Some steps that help in managing stress are to call a friend, go outdoors, get physically active, or even laugh. The surprising thing about laughter is that it is an excellent way to manage and control stress. But what happens if you don’t have the time to do these activities? A few instant stress management techniques include counting to ten, taking a few deep breaths, or smile at someone. These steps can help you combat the stress in your life. The Department of Health Studies at Texas Woman’s University offers a Stress Management course (HS 4553) that is taught by Jenny Bair, M.H.E. and involves understanding productive and non-productive ways of dealing with stress. Also looking at the implications of stress on health, this course introduces many different techniques that can be used to alleviate the negative side-effects of stress. Ms. Bair explains that dealing with stress is a personal issue and involves knowing what stress-less techniques have a positive effect on your stress level as well as which ones do not. For instance, she suggests that you do not go out and run to manage your stress if you do not like to run. Stress-less techniques should be something that you love to do. Bair’s favorite stress management activity is dancing or performing spontaneous movements which she performs for about twenty minutes when she is feeling stressed. Other suggestions by Bair include meditating for ten minutes using online sources such as YouTube videos like this one, http://www.youtube.com/watch?v=RZQ9GfmzR14. This way meditation is not something that you need a yoga mat or an hour for, but can be used as a mobile stress-less activity. Another stress management action is to redirect the thoughts of your brain. Bair calls this the “Stop and Reprogram” technique which involves refocusing your brain by asking new questions or commentary that puts yourself in a positive light. One example of this is thinking “I can do this”, or “I am great at swimming”, etc. In the end, it is important to find healthy ways to manage the stress that we encounter day in and day out. TWU Health Studies is doing its part to help by providing light-hearted and inspirational posts on the TWU Health Studies Facebook page. 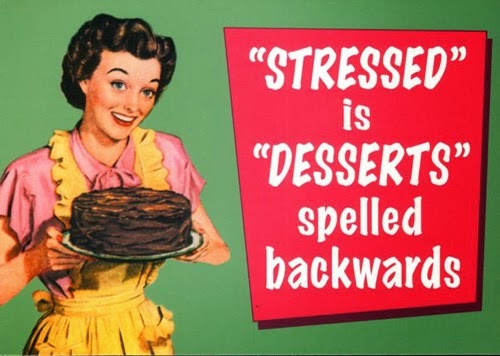 What are some of the healthy ways you deal with stress? Do It, Dump It, or Delegate It?Decide! Six Steps to Taking Back your Schedule!